Strawberries have traditionally contained more strawberry. Australian fruit brands affected by the recent spate of needles found in their strawberries are attempting to win back customers by promising that items found in their fruit will be “much more fun” from now on, and while there was still an unfortunate risk that you might find a needle in your strawberry, there would also be a “pretty decent chance” you might “find something neat” instead. The strawberry needle scare threatened to spread to New Zealand this week, after a needle was found in a Choice brand punnet of strawberries from an Auckland Countdown, sparking fears that panic could begin affecting sales here. But Australian growers are now hitting back, atempting to drum up demand by balancing out the risk with an incentive. 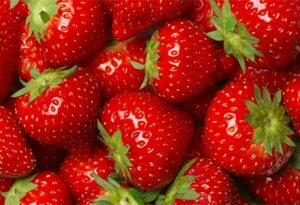 A spokesperson for Countdown, which sources the Choice strawberries from Western Australia, said it will be restocking the brand shortly, with the assurance that there would now be “all kinds of great items” in the fruit.